Wore my new walking shoes, wide size, and walked 3 miles this morning. I always experience foot and leg pain after a walk, but not today. I am pain free and so thrilled. With these shoes, walking is really a great pleasure. I am currently 23 years old and I have had 6 knee surgeries. I was 22 years old when I had my High tibial osteotomy.My intial injury I tore my ACL. MCL and Meniscus playing soccer. 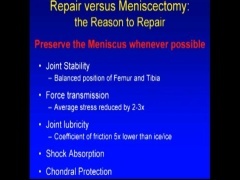 My first surgeon replaced my ACL but did not fix meniscus. He ended up putting my ACL to far forward, he didn’t listen to me for over a year and it caused severe damage to my meniscus. By the time I switched surgeons and they went in to fix the ACL they realized I lost 80% of my meniscus. I then got a meniscus transplant which worked for awhile but then I started to have meniscus pain. I had a Knee scope and cleaning that did not help my pain. After a few months my knee would give out and I would have stabbing pain on my medial meniscus. It got so bad I could no longer walk. That surgeon said he had come to the end of his specialty. I switched to UCSF and they found my meniscus was popping out and I was smashing it. My medial meniscus had always been a problem so they decided to do a High tibial osteotomy. I had that done on 12/28/09 and then had the plate removal done 12/29/10. The osteotomy was extremely painful and took me a long time to recover from. I was doing pretty well I had some foot problems until I had the hardware removed as soon as I came out I had foot pain and by the next day I could not move it without screaming out in pain. My foot now inverts so my doctor sent me to a podiatrist to make me an orthotic. But this has not worked when they corrected my foot problem it flared up my medial meniscus pain and now I have problems walking do to my knee and foot. My podiatrist has done many corrections and is now creating a new orthotic but is unsure she can correct the problem. My surgeon told me that she overcorrected my osteotomy on purpose to take as much pressure off my medial meniscus. But now I am left with hip, knee and foot problems. I am entering into a major strengthening program and I have done lots of therapy. They said maybe they can get me 20% better. My question is do I have an intolerable valgus alignment? I think they overcorrected too much and know it is putting too much pressure on my other joints. I am 23 years old and I have no quality of life. I am realist I know I won’t be pain free but I just want to be able to walk. Has anyone had problems with their osteotomy and can the redo the alignment? Any advice would help I feel lost I trust my surgeon she is really talented I just wish she had not overcorrected. I am 24 years old and I am bowlegged due to rickets that I had as a child. This causes alot of pain on both knees. I just wanted to know if anyone has had a leg straightening surgery because I would like some info. I'm hoping that surgery will reduce my knee pain. I mulled over the same questions before I got my tibial osteotomy in 2000. I went with the opening wedge method with internal fixator. I dont see any reason to suffer with an external fixator. I am very happy with my choice. I am back to 99%. The plate is still in place so I cannot kneel on it (feels wierd). That is the only downside. With the correction, the knee feels great. I can stand for hours without feeling it. I'm having an oseotomy next month and have to decide if I want an external fixator instead of the internal hardware ie..plate and screws.... would appreciate hearing from others that have been given this choice. I'm having trouble with the thought of having to turn bolts through my leg. My Dr. thinks I'll get over it once it's done. I (33 years old) wrote a little under three months ago and I went through with the surgery a maque (I learned how to spell it) tibial osteotomy 9 weeks ago. Things have been progressing well. As of 2 weeks ago the x-rays showed that I had not fused completely (est was 10-12 weeks) but I think that is changing because I know how my leg feels. I am down to a shorter knee immobilizer and started formal PT last week. I use one crutch when not in my immobilizer. My quads are completely gone but with losts of hard work they will return soon. So far so good and I think it was the right move to get me back to sports and away from a TKR (which is one of my next steps.) I hope the results continue in the right direction. This was my 10th surgery and probably the most time consuming rehab since my allograft 8 years ago. Good luck to all and if anyone has any questions I have already had 3-5 people send me e-mails, I have no problem answering them. Sharon B.
I am 34 years of age, have degenerative joint disease on the medial side more, and am looking at the choices between a unicompartmental knee or a high tibial osteotomy. Would like feedback from anyone who has had experience with either one, and who could offer some advice. I have been told a total knee replacement is out of the question due to my age. Marc - I am very interested in hearing how your post -op period went and just how you are getting along now. I am set to undergo a HTO and am pretty nervous about it - do not kn0w anyone personally who has had this procedure. I live in Miami and will have the surgery here. Other options do not seem suited to my problem but i am trying to get an appt with a Doctor in Vail who is suppossedly the great knee guru. Would appreciate hearing from you Thanks so much. I was amazed to find this site and read all those who have responded. I am 33 years old and am scheduled for a Tibial Osteotomy (Macque (sp) procedure rather than the Fulkerson) in two weeks. This surgery makes #10 for me since my first scope at the age of 9. I have had two ACL reconstructions, Meniscus repairs, removal, and an allograft completed 8 years ago. The knee was doing as well as can be expected until it went out on me this summer first while playing soccer then while getting up from the dinner table. The Docs are hoping that this will postpone a TKR for at least 10-15 years (I am way to young.) I am hoping to be able to continue playing sports for those years. I am very active and plan on being for many years to come. Does any one know of another place I can get additional information on the procedure? I am planning on being out for two weeks before I resume driving, is this realistic? I wish you all luck. Seven months ago I had an "Open-Wedge" Tibial Osteotomy and ACL reconsruction. I'm becoming very frustrated because I haven't been able to talk to anyone who has ever had both surgeries, or even the osteotomy. The doctor and physical therapists assure me I'm doing as well as can be expected but I'm not sure if this is true or not. I haven't gained back all my muscle on the surgery leg yet and doing leg extensions are extremely painful due to under the kneecap pain. My original problem is osteoarthritis and being bow-legged. The doctor straightened my leg by doing the osteotomy and now I have to have the other side done too. I would just like to hear from anyone else that has had this done and how they are doing. Had HTO done to my right knee on 7-10-00. Started PT on the 12th. Can bend the knee125 degrees and straighten to about -5 degress. Still have some pain, and I have been told to watch out for blood clots. I am taking blood thinners and have to wear stockings to prevent clots from forming in my legs. Dr. says to use the stockings for at least 4 more weeks. What a pain since it is over 100 degrees outside and I am stuck in the house most if the day. Dr. also says that I will be on cruthes for at least 6 more weeks. Hopefully I will be able to start driving this week. Would like to here from other people who have had this procedure done. HI...my feedback on similar surgery and the results. I had a very complicated knee picture prior to surgery...lots of arthritis, valgus malalignment, failed ACL graft, absent medial meniscus, thrusting problem with walking. Rather than go the TRK route, I had an opening wedge osteotomy in 09/98 using the Pudda plate (new device) as the fixator, and an ACL revision surgery in 03/99. Along with revisional ACL using the hamstring (first one used patella tendon), I also had an abrasion arthroplasty. Going to have the right knee surgically fixed with the same surgery (opening wedge and ACL) n January 2001. The results for the left knee have been outstanding. I told my OS in February that I would go through surgery all over again to get to the point that I was then. Even now, 5 months later, the left knee is stronger. I have minimal pain and that pain is around the plate. However, I do not ski, run, or do any high impact aerobics. I do cycling, stretching/flexing, strengthening exercises. I find thetreadmill/stairstepper strenuous on the left knee because of the load on the medial side of the knee. My OS told me before surgery that the knee replacement would be the easier route to go but I was 47 at that time and I was too young for the TKR. I am otherwise in great health, in great physical shape and not overweight. So far, I cannot complain about the outcome, it was truly worth the post surgical pain and discomfort to get to this point. I actually found the opening wedge procedure easier except for the 6 weeks non-weightbearing and less painful than the ACL revisional surgery. The therapy was ok but I had to slow down on the therapy at the 9 week post-op point because of swelling. But other than that, I did fine. So I hope this feedback is encouraging. I again I am pleased with my results and hope the right knee does the same which I am sure it will. If you have any specific questions, email me. i just found this site and what a blessing. i finally found some information on high tibial osteotomy and others who have had same. i fell at work feb '98 and injured my left knee. after failed arthroscopic surgery, i had the high tibial done. it was not fun, what with the pain- you know what i mean. i went to therapy 3x's a week for about 5-6 months-it was a long healing process. i was still left with some pain and my knee would still give out on me whenever it felt like it, so i used a cane. 11 months later, my knee went out one day and my right leg gave out also- due to the strain of bearing all the weight for a year. another failed arthroscopic surgery on my right knee and then in dec. 99 another high tibial on my right knee. oh i also forgot-they said that i needed new knees, but also said that i was too young- i was 48 when all this started. so more therapy and am left with pain and swelling on right knee also. and then.......from the extended use of the cane-now my hand has developed a trigger finger and compressed nerves in my elbow and a bad shoulder. went to the doctor and he gave me some cortisone in my finger joint and said when that fails to work anymore-surgery will fix my hand and elbow. its like a never ending cycle that justs keeps on going and going with no end in sight. VERY DEPRESSING!!! i am so tired of being in pain. sorry to give such a negative account, but i am only one story. will look for others. get back to me and let me know how you are doing.